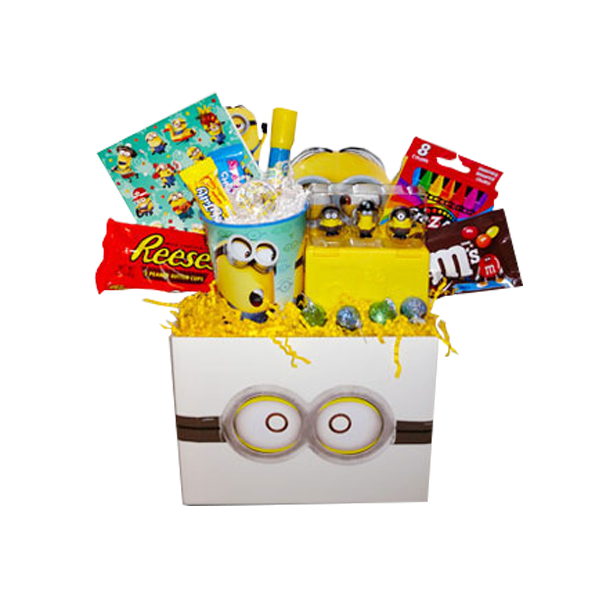 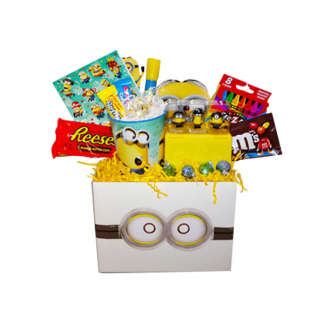 Fun and treats any minion would enjoy. 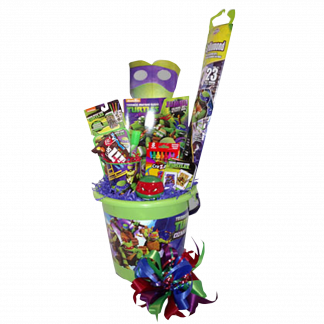 Includes coloring book, stickers, glasses mask, cup, play set, crayons, flashlight pen, spin top, M&Ms, Reeces, and Kisses. 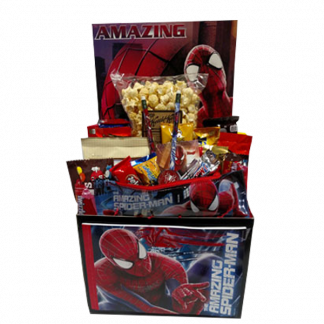 Medium and large sizes will contain more treats.